DVD-Running Down the Man, When was the last time you saw a grown man sprinting down an empty beach in Mexico, waving a 9 foot fly rod, while in hot pursuit of a fish resembling Elizabeth Hurley? 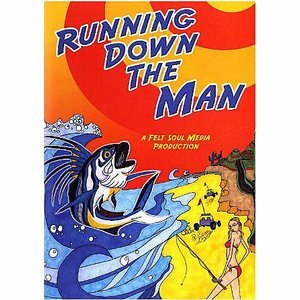 DVD-Running Down the Man, When was the last time you saw a grown man sprinting down an empty beach in Mexico, waving a 9 foot fly rod, while in hot pursuit of a fish resembling Elizabeth Hurley? 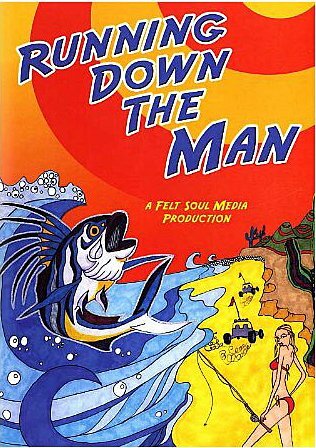 Join us as we explore the arcane pursuit of fly-fishing for Rooster fish from the beaches of Baja Sur, Mexico and the zealotry and commitment that it takes to successfully angle to them. It's high energy, combined with the highs and lows of the struggle to tame a very elusive and beautiful fish caused a standing room only crowd at the awards show to give much more than the usual cursory ooo's and ahhh's. DVD. 30 minutes.